The MNA Membership Committee is chaired by the Vice President of the Board of Directors, Tonya Moore, PhD, RN. Being a member of the Mississippi Nurses’ Association demonstrates your commitment to nursing and desire to improve the health of all Mississippians. You can stay abreast of current and emerging healthcare trends and enhance your skills at numerous continuing education events; enhance your career through professional networking at the local and state level and utilizing the MNA job board; and stay informed on advocacy efforts including legislative issues that impact your profession and patients. Take advantage of all your member benefits detailed below. The stronger our membership, the greater our impact! MNA is the voice of Registered Nurses and Advanced Practice Registered Nurses in Mississippi – speaking with one incredibly strong voice in the support and advancement of the profession of nursing in Mississippi. 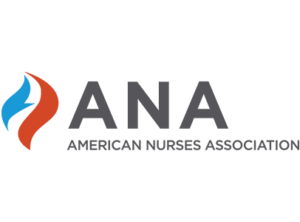 Through membership in MNA, nurses create a dynamic force to influence legislation, improve the overall health in local communities and the entire state, and develop innovative solutions to the challenges facing the nursing profession in an ever-changing healthcare environment.